Among one of the last countries hit by the gin-craze has been Estonia, which has seen half a dozen small brands popping up over last months. 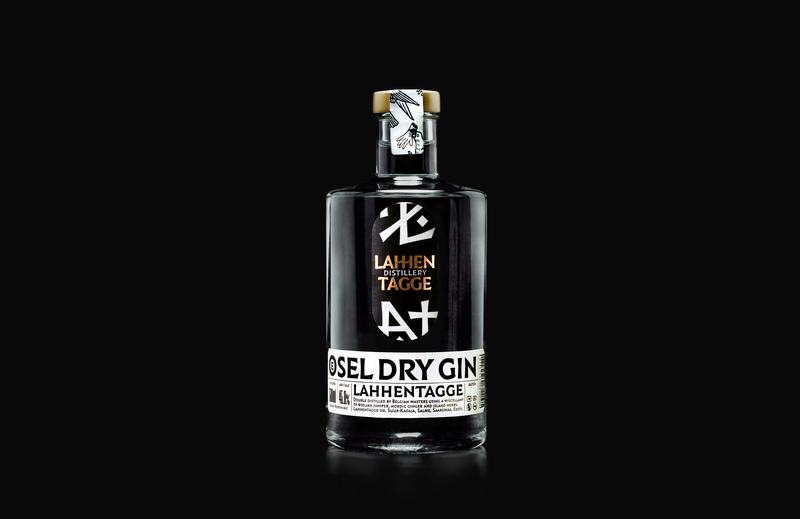 We spoke with startup entrepreneur Tarmo Virki, co-founder of Lahhentagge Distillery, which was first to launch last year. You building a small distillery on the Estonian island of Saaremaa. How did you come up with the idea? Maarit, our head-distiller in-training came up with the idea in early 2016 when she was walking in our village of Lahhentagge and saw that the plot of land, where once stood the distillery of a local mansion, was on sale. To us here Saaremaa means very little. What makes the place special? It’s a paradise for making gin: the island in the middle of the Baltic Sea is covered with juniper trees. The juniper berries of Saaremaa are much smoother, more fruity than those from the Mediterranean which are used in most gins of the world. During the Soviet occupation the whole island – which is of similar size with Skye or Mallorca islands – was a border-zone, which meant the Red Army kept the travellers and industries away from this paradise, making it a clean nature reserve. Does it make any sense to launch a small distillery in the middle of nowhere? We are in the middle of the Baltic Sea, with four capitals – Tallinn, Helsinki, Stockholm and Riga all some 250 km away. At the same time even the tiny capital of Estonia is a 4-1/2 hours drive from Lahhentagge. Being on the well-preserved island means that we have a unique supply of wild herbs at our doorstep. Literally, some of the juniper berries are picked from our own garden. We also have a rich knowledge-base to tap into. In many western countries, people have for several generations healed themselves with pills, but our grandmothers have been teaching us how to use the wild herbs for healing. The knowledge-base extends also into distilling – in the 19th century Estonian mansions were key vodka suppliers for the whole of Russia. You have been working on this now for more than two years – how far are you? We launched our first product, Ösel Dry Gin, in the latter half of 2017. The first year we spent on figuring out how it can be done, which herbs should be used and with which people we would like to build this company with. How did you build the team? Is it a startup? It’s more like a family business. There are two families involved – both married 15+ years, and we all four know each other for even longer, so soon after starting to work on the spirits business, we understood that our skills are nicely complementing each other and it was very natural to join forces. In addition to us four there is our Englishman Lewis, who is responsible for the look of our product. Sometimes he surely feels alone with two families around him. Whats special about your first gin? It was the first local artisan gin to reach shop shelves in Estonia last year. What I am proud of is the fact that almost every specialist around the world has said it’s totally unique. A few weeks ago at a high-profile tasting session in London no-one was able to guess the region the drink was coming from. In a way, its logical: no-one had tasted anything from nearby ever before. We are picking ourselves and sourcing locally almost everything – including the award-winning rye-based base spirit. I am reading this in Ireland – how can I try your drinks? I would recommend travelling to Saaremaa and see this magical place with your own eyes, a good time would be for example July 7 when we are organising the first ever gin festival of Estonia on the island. At the same time, we do hope to launch sales in Ireland and UK well before that.